Herb gardening is becoming an increasingly popular hobby. Many people have started herb gardens because they are looking for a way to get high quality herbs that have not had pesticides and other dangerous chemicals used on them at a decent price. When you go to the store, there is usually a good selection of different herbs that you can buy. Most of these herbs are produced commercially and have pesticides and other harmful chemicals used in the growing process. Herbs that lack these chemicals are known as organic and are much more expensive as they are more expensive to produce and grow. Because of these two factors, many people are choosing to grow their own herbs and plants in their homes or gardens. This can be a great option for you if you are looking to create a more healthy diet and save money at the same time. If you plan on growing your own herbs in your home, you will have to find a space to put them. Typically, people use pots and other containers to grow their plants indoors and/or outdoors. These work well as long as you choose a pot that will allow your plant to grow to the size that it needs to in order to be harvested. Many times people think that they don’t need a large pot and end up planting the herbs in a pot that is too small for the plant to grow. 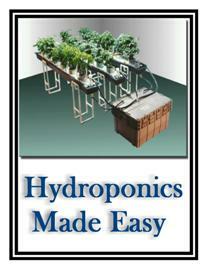 One thing that you will want to consider when choosing a pot for your herbs is how well it will drain water. Water drainage is crucial when you are growing your own herbs because if water is allowed to pool, mold can start to grow in your plant’s pot and kill the herbs that you are trying to grow. So be sure your containers have enough holes in the bottom to allow sufficient drainage. The next thing that you will want to think about when you are growing plants in containers like pots is the soil that you are going to use. There are many different types of soil and soil products that you will be able to find at the local gardening store or from a reputable online distributor. Look for a high quality organic soil and compost and put in the container leaving enough space at the top for watering, roughly 1 to 1 1/2 inches, depending on the size of the container. Note: If the container is large and deep enough, add 1 to 2 inch base of gravel or small stones which will ensure good drainage and help prevent root rot. It’s always a good idea to clean any containers that you reuse to remove any possible contamination and/or bugs. Make sure to keep your herbs in a sunny location and properly fed and watered and you will be cooking with your own herbs in no time.